Generally, about $12.00 to $15.00 dollars per sq. ft. 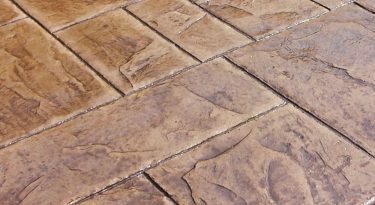 The cost of stamped concrete varies quite a bit between stamped concrete contractors. I know, I stamp a lot of concrete each year with my company Day's Concrete Floors, Inc. When I estimate the cost of stamping concrete, I include many things in my price and some things are extra. 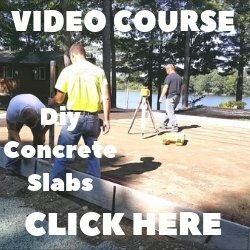 I'll break down the cost of stamping concrete for you, like I would for a customer, so you'll know what to expect and what questions to ask when you search for stamped concrete prices in your area. What's included in the cost of most stamped concrete projects? Here's what I include in my basic cost of installing most stamped concrete projects. Those are the materials and labor included in my stamped concrete cost for 12 - 15 dollars per square foot. The reason for the 3 dollar range is some stamp concrete jobs are more difficult to form, require multiple pours, some colors are more expensive than others, and some projects require covering the existing buildings to keep them clean, etc. What would make my stamped concrete cost more than 12 - 15 dollars per sq. ft.? 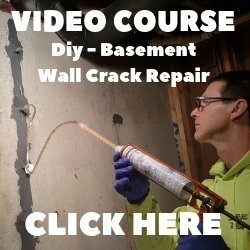 What would add to the base cost of stamping concrete? SMALL PROJECT - UNDER 400 SQ. FT.
Any of the above items could add 2 - 3 dollars per sq. ft. to the cost. What's not included in my price for stamped concrete? How do I find someone to do my stamped concrete? If you don't know any concrete contractors, I would find the closest concrete ready mix supplier and call them to ask for suggestions. They supply the concrete to stamped contractors like me and know who does a good job and who doesn't. If you already know someone in the concrete business, then ask them for referrals, most of us in the concrete business know each other and could suggest someone to contact. Stamping concrete is a specialty, an art, in our business. 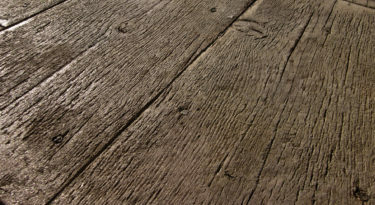 There are a lot of concrete flooring contractors that "try" to do stamped concrete. 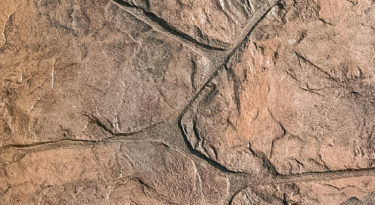 I would recommend getting at least 3 estimates and checking their references before choosing your stamped concrete contractor. Go look at their work, talk to their customers, make sure you have a good feeling about Him or Her before you hire them. 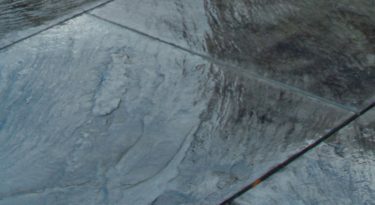 Stamped concrete will last for many years, looking great, if done right and maintained properly. You should only have to clean it, by hosing it down, a couple times per year, depending on its use, and re-seal it with concrete sealer every 2 - 3 years. Here's what you can expect to pay for some other types of concrete applications.